All products are CE conform and certified. Each sample position is individually adjustable. 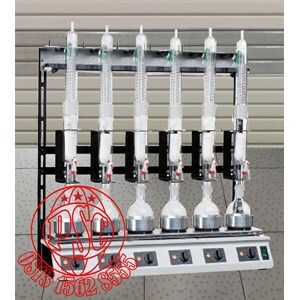 Cooling water distributor ensures even cooling at all sample positions. 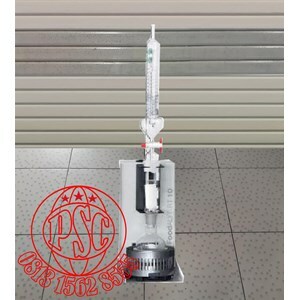 Practical stand for holding condensers securely between extractions. Mounts for safe holding spacers after removal of the reaction vessels. FoodALYT RS : Fat Extraction acc. to Soxhlet. FoodALYT RT : Fat Extraction acc. to Twisselmann. 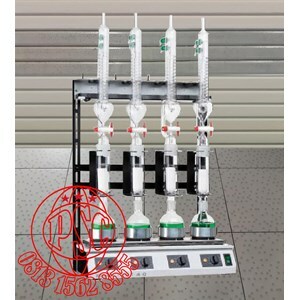 Devices are supplied with heating block, glassware, holding frame and drip pan. Buat Permintaan Untuk "Block Heater"